We're always intrigued with the perspectives of young adults majoring in Agriculture at universities around the country. The job market within agriculture is broader and more diverse than ever thanks to the use of technology and GPS, the growing world population, and the demand for more yield from less land. Recently, we met Jae Lyn Huffman, who majoring in agriculture, and asked her to give us some perspective on choosing that field of study now that she has completed her freshman year. Jae Lyn is an encouragement to us and the future of agriculture! Thanks for sharing your insight, Jae Lyn, we look forward to watching your future unfold! CCTF: How did your first year as an Ag major inspire you? 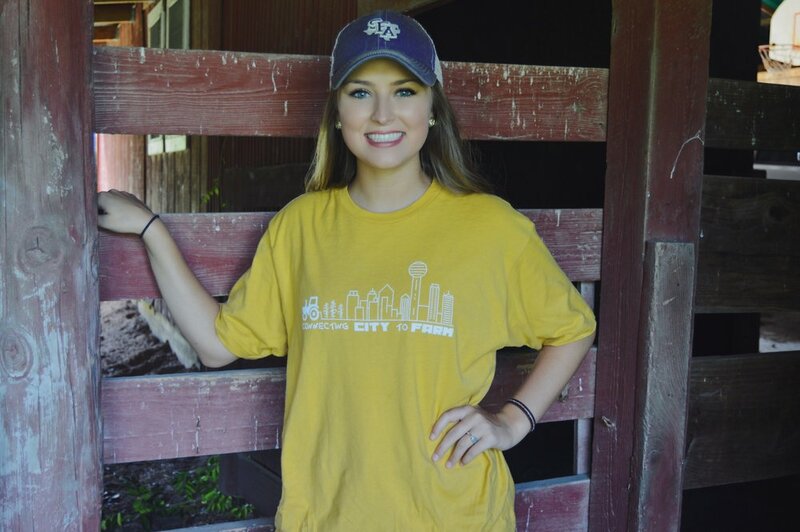 Jae Lyn: I just completed my first year of college at Stephen F. Austin State University in Nacogdoches, Texas where I am pursuing a degree in Animal Science. Coming from a rural east Texas community, I have grown up around all things Agriculture, especially poultry. However, I never really took any interest in the field until my senior year of high school when I took an elective animal science class. This course piqued my interest in cattle, which will ultimately provide dairy and beef products. The intricate process from breeding to birth, and the hard work and knowledge it takes to raise heathy livestock is truly fascinating. Interestingly, choosing to major in animal science is not a one way road to becoming a veterinarian. This degree plan provides hands on work experience that will open many doors including agriculture sales, sustainable food and farming, and endless other facets of different industries.